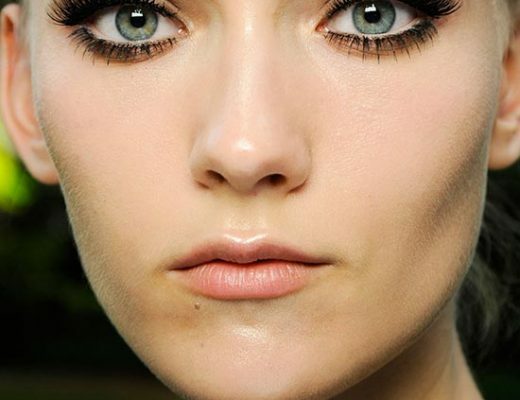 White eye makeup makes a comeback this spring on the runway. 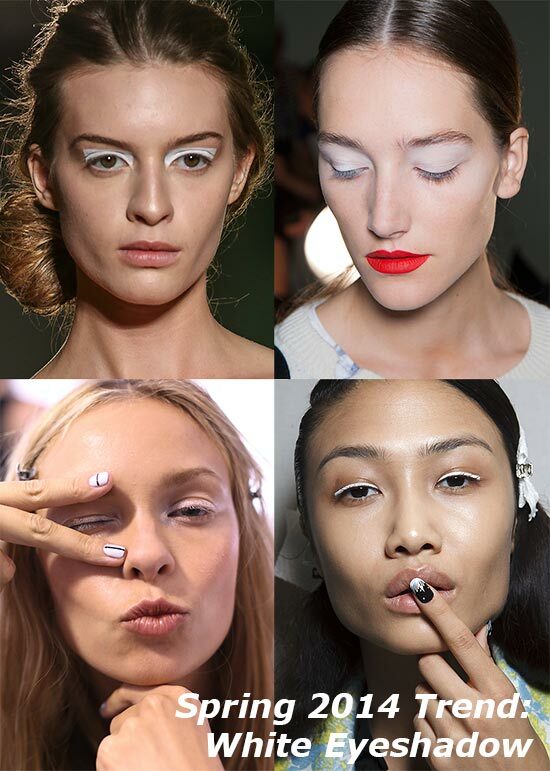 Bands of graphic white liner contrasted a bare face at Kenzo while Altuzarra presented a combo of matte white eyeshadow and red lips to create refined modernism. At Tibi, eyes were rimmed with a shimmery white cream shadow that extended towards the temple for a cat-eye effect and eyes dazzled in a soft, ethereal glow of white and pink at Alice + Olivia. To rock the look for every day, avoid using opaque whites, which tend to look harsh. Instead, apply the color with a large, fluffy brush for a subtle wash, as suggested by makeup artist Tom Pecheux.